Professor C.E. Black of Princeton University called this "a valuable contribution to our understanding of the revolutionary movements that are now a worldwide phenomenon. It includes thoughtful essays on many varieties of revolution, considered in the light both of past developments and future prospects. The twentieth century was an age of revolution. Over many areas of the world the two great ideologies of nationalism and communism spawned violent upheavals, often differing in form but aiming at the transformation of the existing order by means of coups d'etat, revolutions, and "wars of national liberation." 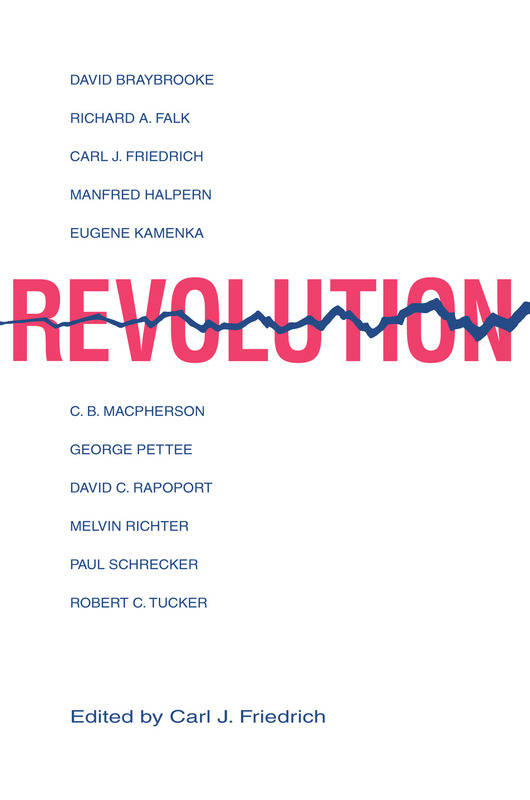 Eleven distinguished political scientists and policy theorists offer a penetrating analysis of the theoretical and substantive aspects of revolution. Their scholarly, lucid, and well-balanced essays explore the revolutionary theories and experience of several centuries and apply them to the most crucial problem of this century. Carl J. Friedrich argues that it is the failure of government, which is at the core of the political revolution, and shows that constitutional regimes that have allowed "little revolutions" promoting gradual political and social change have been singularly free of revolutionary upheaval. Presenting the thinking of some of the best minds of the 20th century, this volume offers important guideposts for the future study of the etiology of revolutions. Here are not mere speculative and historical distillations, but new insights and conclusions regarding the origin, purpose, and impact of revolution on the world of today and tomorrow. An indispensable work for every student and scholar of comparative politics, international relations, and the history and theory of Communism, it will also be welcomed by the statesman and the educated layman who want to probe the causes of the historical upheavals of our time.